Shoryuji castle is located at the merging point of Obatagawa river and Inukawa river, in Nagaokakyo city at southwest of Kyoto city. 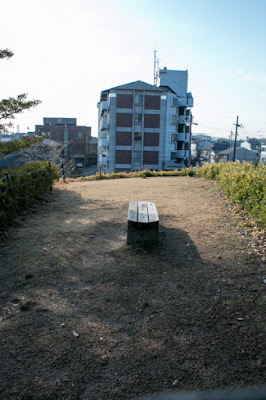 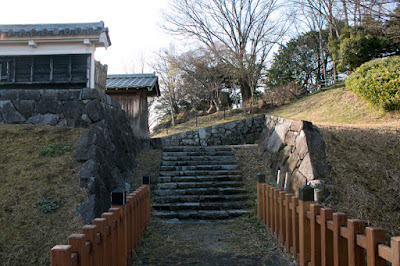 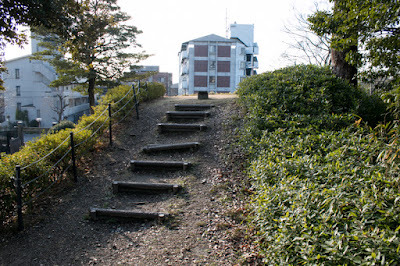 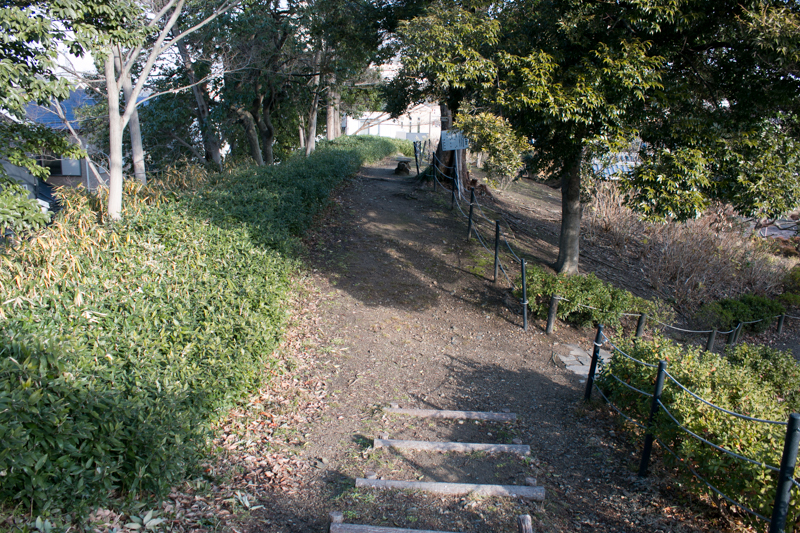 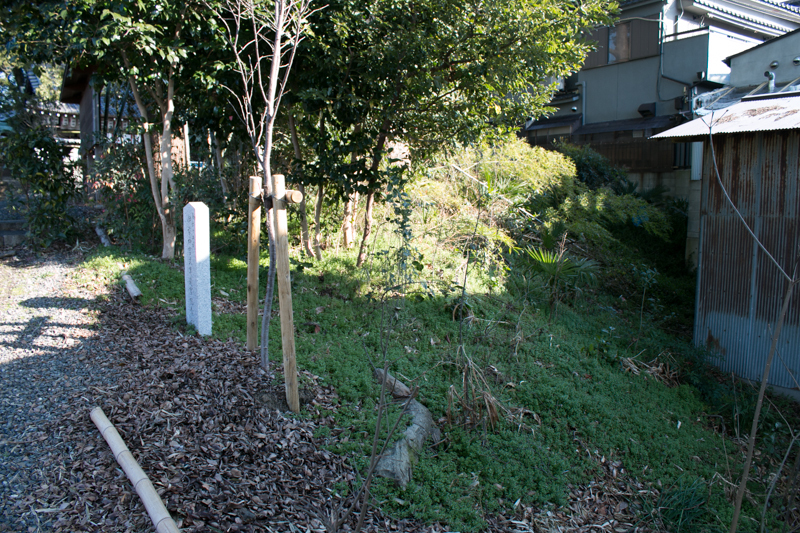 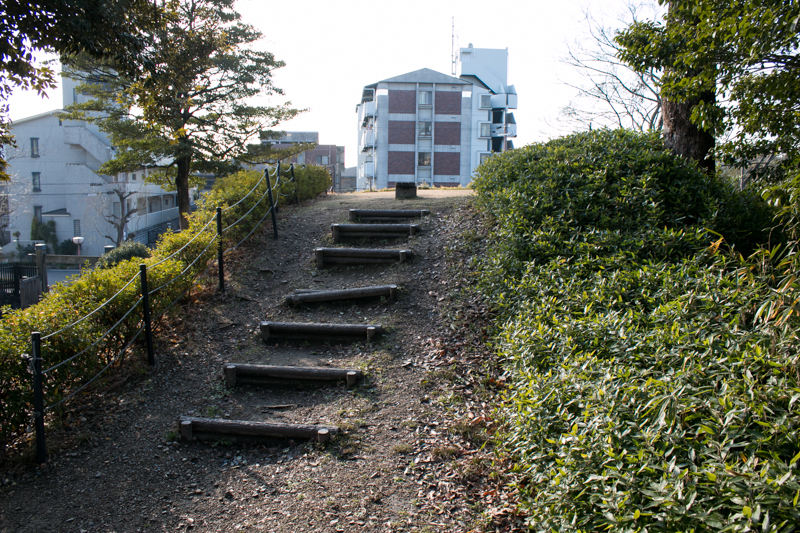 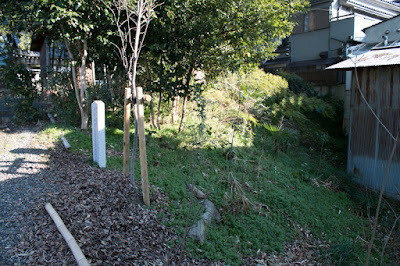 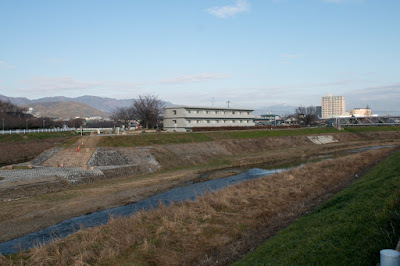 The site of Shoryuji castle is a mouth of narrow path of Yamazaki area between Kyoto city and Osaka city, and an important point to defend the enemy marched this narrow path from west side. 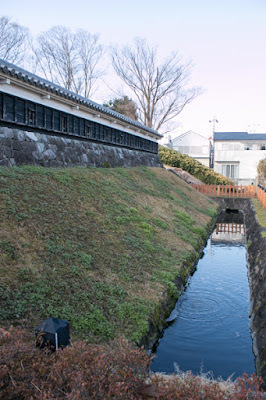 Even today there are many rivers such as Yodogawa river or Katsuragawa river around here, and in old days rivers and marshes might obstruct the movement of enemy. 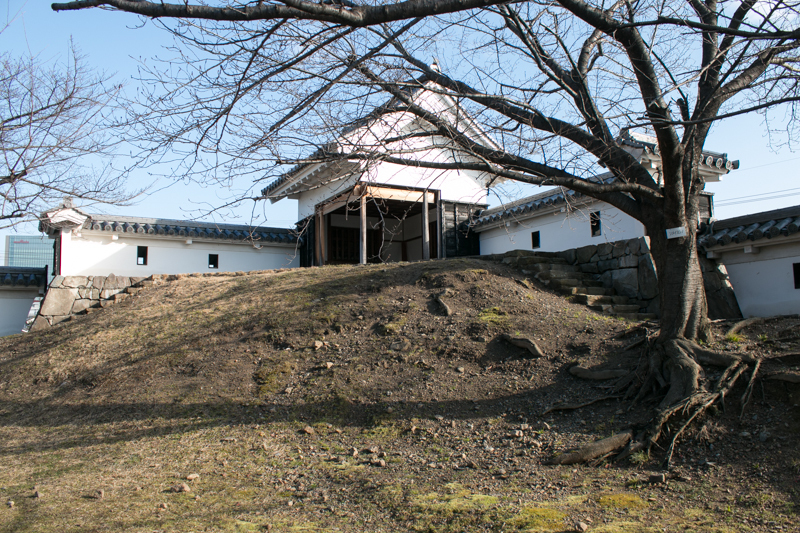 Precise year is unknown but Shoryuji castle might be built by the end of 16th century, on and after the battle of Onin occurred at Kyoto city from 1467 to 1477. 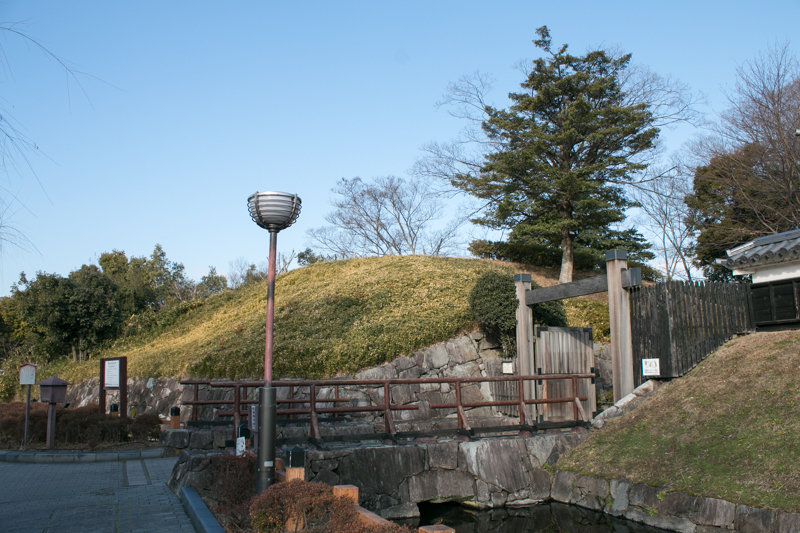 Around 1500 Hosokawa clan, a high class retainer of Muromachi Shogunate, defeated their rival Hatakeyama clan and built their virtual government at Kinki region, and Shoryuji castle might be kept by Hosokawa clan. 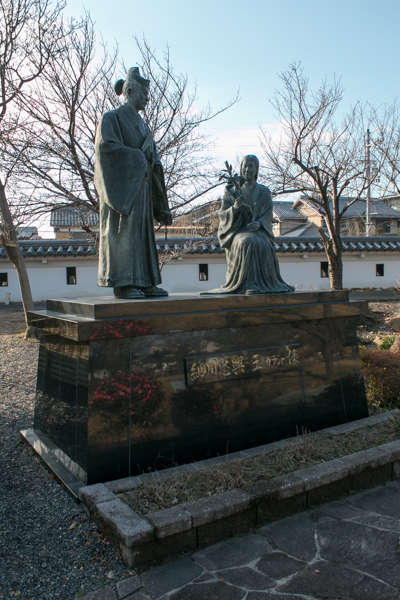 Later Nagayoshi Miyoshi (1522-1564), a strong general of Hosokawa clan, overcame Hosokawa clan and built his own virtual government. 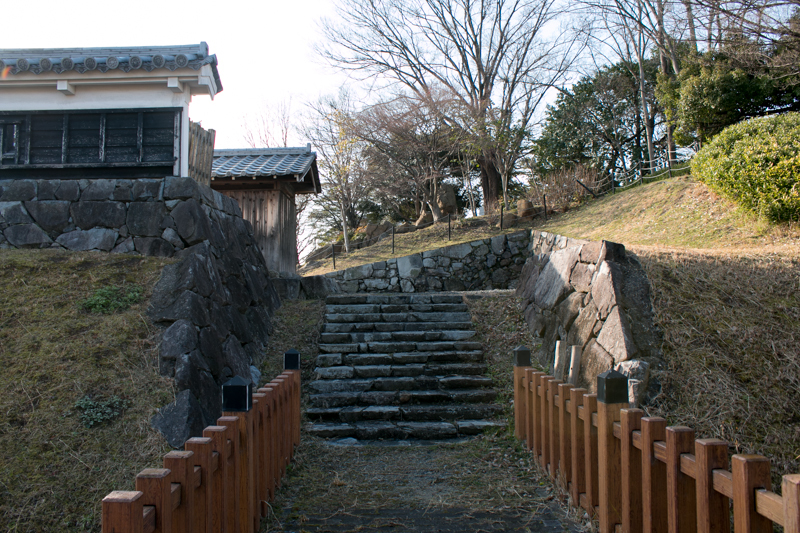 Under Miyoshi clan, Tomomichi Iwanari (1519-1578) held Shoryuji castle, and lead Miyoshi clan after the death of Nagayoshi. But in 1567, Nobunaga Oda (1534-1582), the warlord of Owari province (western half of Aichi prefecture) who seized Mino province (Gifu prefecture), marched to Kyoto city with Yoshiaki Ashikaga (1537-1597), a younger brother of Yoshiteru Ashikaga (1536-1565) who was assassinated by Miyoshi clan. Nobunaga had overwhelming army easily occupied Kyoto city and next attacked Shoryuji castle, then Tomomichi escaped and Shoryuji castle was captured by Oda clan. Nobunaga gave Shoryuji castle to Fujitaka Hosokawa (1534-1610). Fujitaka was a branch family of Hosokawa clan, and served to Shogun from youth. 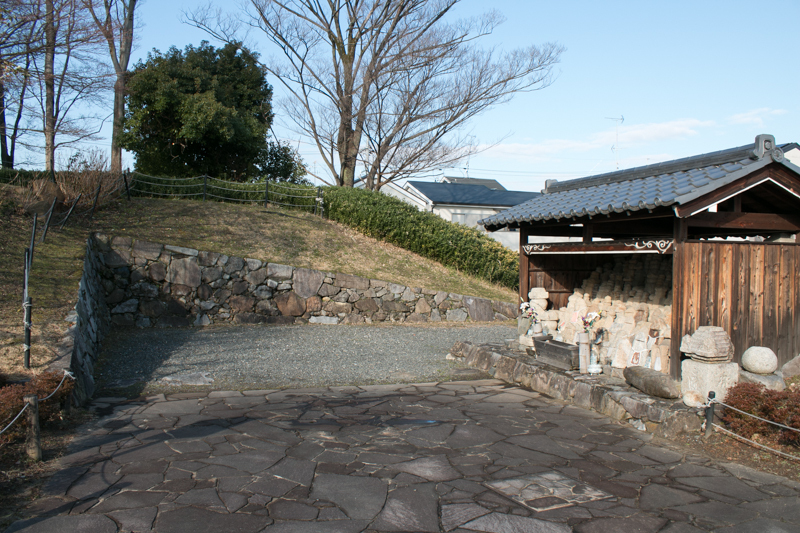 When Yoshiteru Ashikaga was assassinated, Fujitaka let Yoshiaki escape and accompanied with his exile. 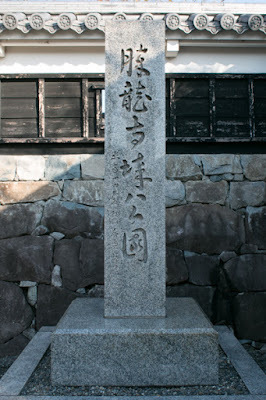 During his wandering Fujitaka acknowledge with Mitsuhide Akechi (1528-1582), and arranged alliance between Yoshiaki and Nobunaga with Mitsuhide. 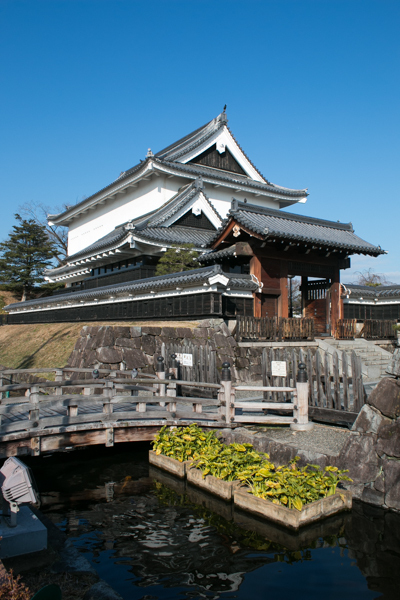 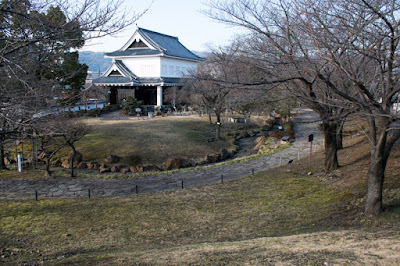 Fujitaka served to both of Yoshiaki and Nobunaga, and reformed Shoryuji castle into a major base to guard Kyoto city. Shoryuji castle is built at a small height at the north of merging point of two river like Y letter, thus the structure of the castle is a triangle facing below. 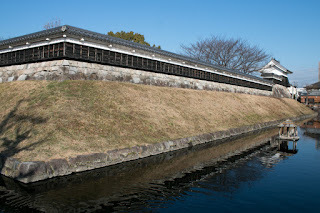 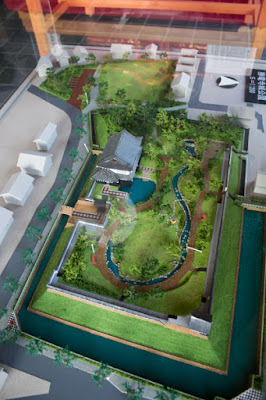 The central area of the castle is a rectangular area of 100 meter long and 60 meter wide, and a stretch was built at its southeast corner to guard the main gate at the middle of south line. 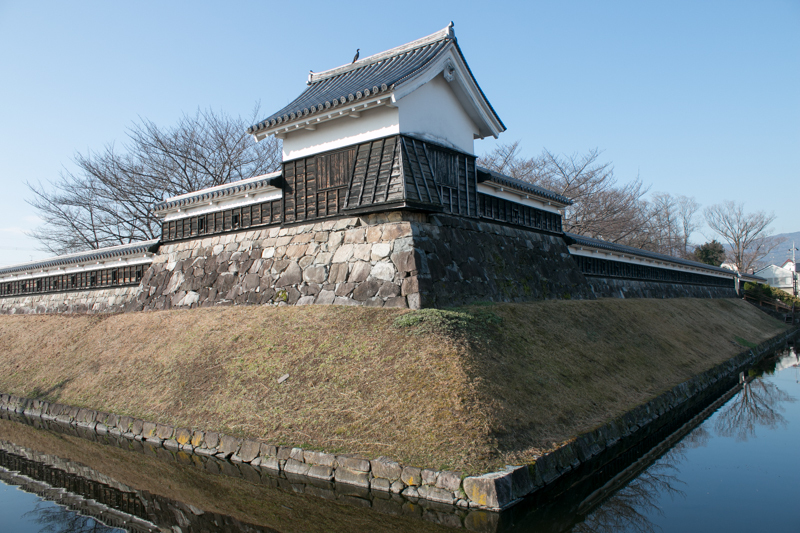 This central area is protected by over 10 meter water moat, and lower half of clay wall were covered by stone walls. Another area called Numatamaru was attached at the west of central area, and other areas spread at the south of these two areas. 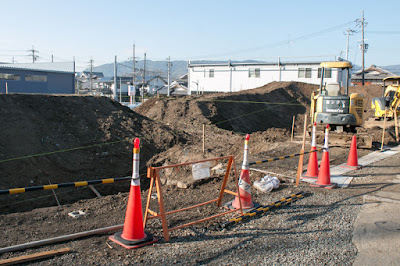 Additionally, outer barrier consist of clay wall and dry moat spread at 200 meter north from the central area, to shut the castle area from north. 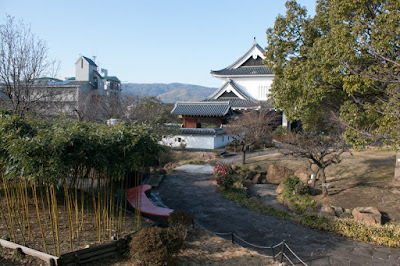 Total size of the castle was about 400 meter long square, and it was comparatively large castle around this area. 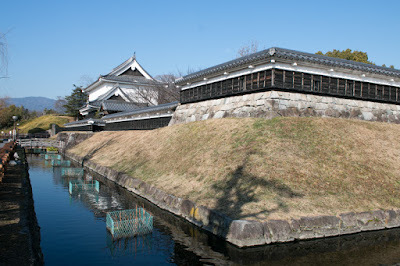 Fujitaka chose to serve to Nobunaga under coordination of Mitsuhide. 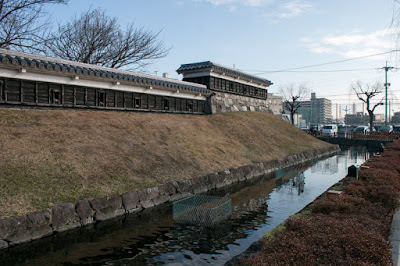 Fujitaka was attached to Mitsuhide who became the regional commander of Kinki region, and in 1578 Tadaoki Hosokawa (1563-1646), the eldest son of Fujitaka, married with Tama (1563-1600), the daughter of Mitsuhide and later called as her Christian name Garasha. 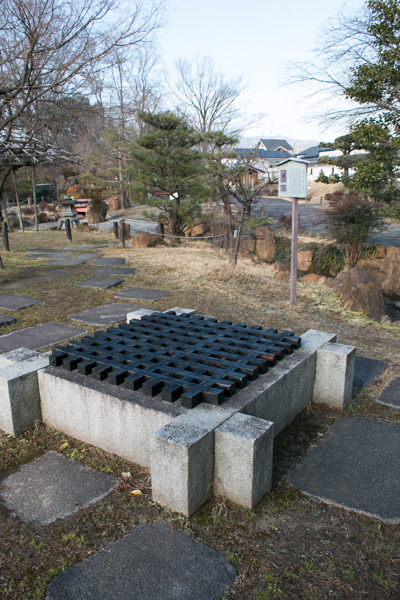 Fujitaka activated at many battles under Mitsuhide, and was appointed as a governor of Tango province (north part of Kyoto prefecture). 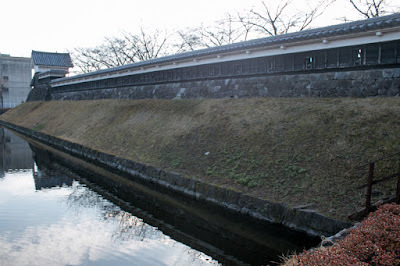 But in June 1582, Mitsuhide made a coup d'etat against Nobunaga called as "Honnoji no Hen" (incident of Honnoji), and forced Nobunaga and his successor Nobutada Oda (1557-1582) to suicide. 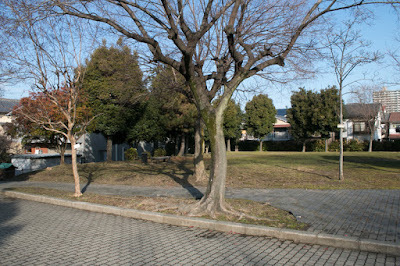 Oda government lost its leader and successor with many generals and collapsed, thus this coup d'etat seemed to succeed. Mitsuhide donated to the Imperial household, and captured Kyoto city and vacant Omi province (Shiga prefecture) including Azuchi castle which was the main base of Oda clan. 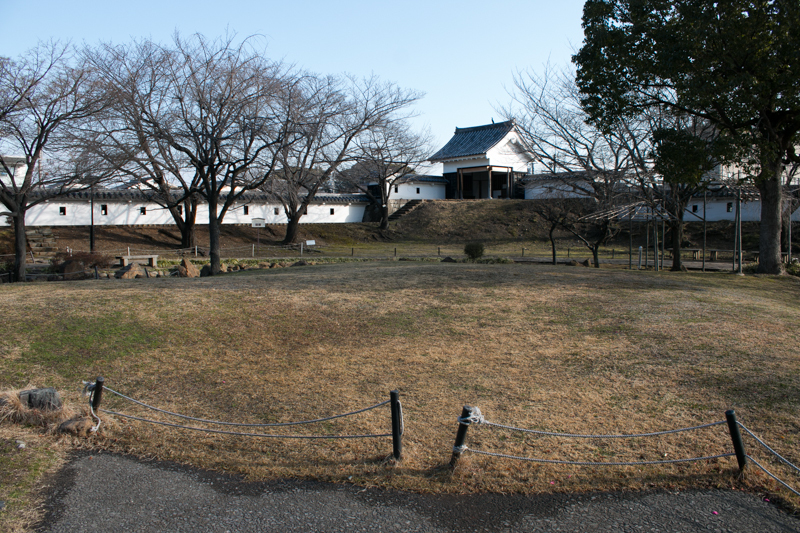 At that time Oda clan had five regional army, which were Kinki region army lead by Mitsuhide, Chugoku region army under Hideyoshi Hashiba (1537-1598) faced Mouri clan, Hokuriku region army commanded by Katsuie Shibata (1521-1583) fought with Uesugi clan, Kanto region army of Kazumasu Takigawa (1525-1586), and Shikoku island army built under Nobutaka Oda (1558-1583) and Nagahide Niwa (1535-1585) which were just about to start toward Shikoku island to fight with Chosokabe clan. Mitsuhide planned that it would take a long time for such other regional army facing each enemy to fight with Mitsuhide, and realize and rationalize his new government during this gap. 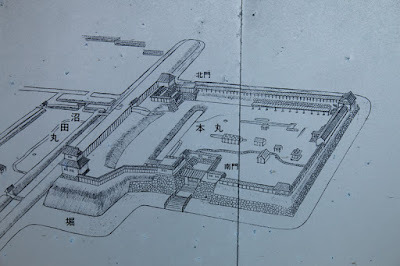 Actually Shikoku island army which was the closest to Kyoto was just formed and collapsed hearing the news of coup d'etat, and Nobutaka and Nagahide only could stay at Osaka castle to guard them. 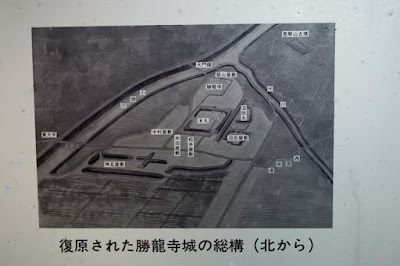 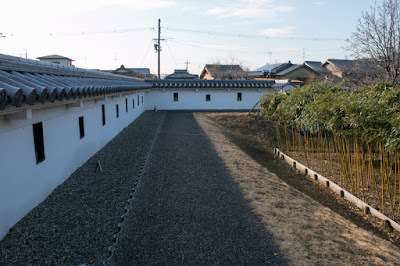 Hokuriku region army under Katsuie was second closest and had large army, but fought with Uesugi clan just fall Uozu castle (Toyama prefecture) and forced all Uesugi general to suicide, then he could not agree with Uesugi clan and also had to prepare the rebellion of Ikko Ikki group suppressed by him. 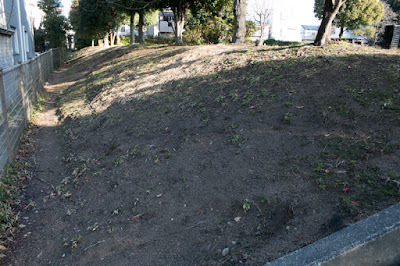 Kazumasu Takigawa located at new territory at far distant Kanto region, and was attacked by Hojyo clan and lost the battle of Kannnagawa then escaped to his territory losing everything. 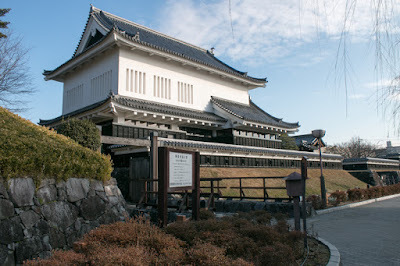 But Hideyoshi Hashiba who siege Bicchu Takamtsu castle (Okayama prefecture) by flood attack could made peace with facing Mouri clan concealing the death of Nobunaga, and quickly returned to Kinki region in one week with large army. 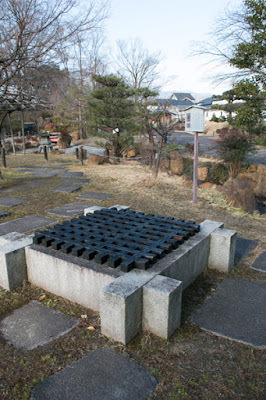 Looking at this situation, other than Shikoku island army, small lords around Osaka area such as Tsuneoki Ikeda (1536-1584) or Shigetomo Takayama (1552-1615), decided to support Hideyoshi. Not only that, generals attached to Mitsuhide such as Fujitaka or Jyunkei Tsutsui (1549-1584) who was the governor of Yamato province (Nara prefecture), left Mitsuhide and belonged to Hideyoshi. 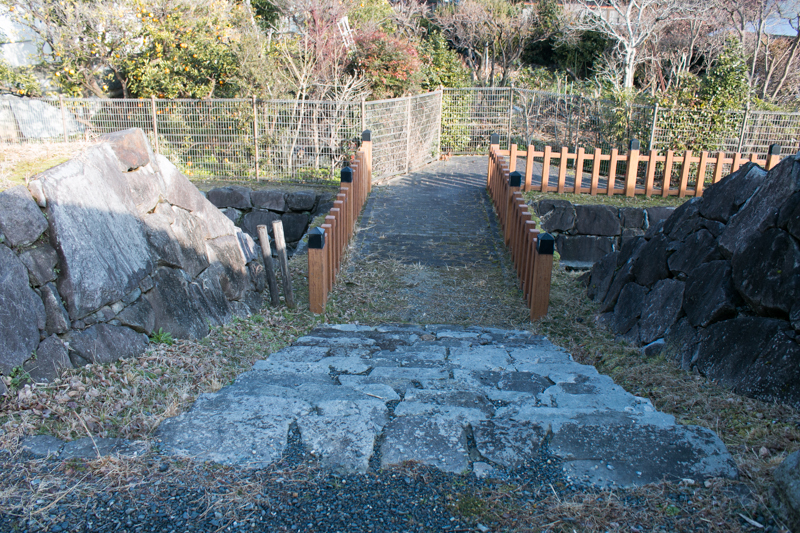 Jyunkei looked at the situation at Horagatouge path between Yamato province and Kyoto city, and from that Horagatouge means having two strings in Japanese. 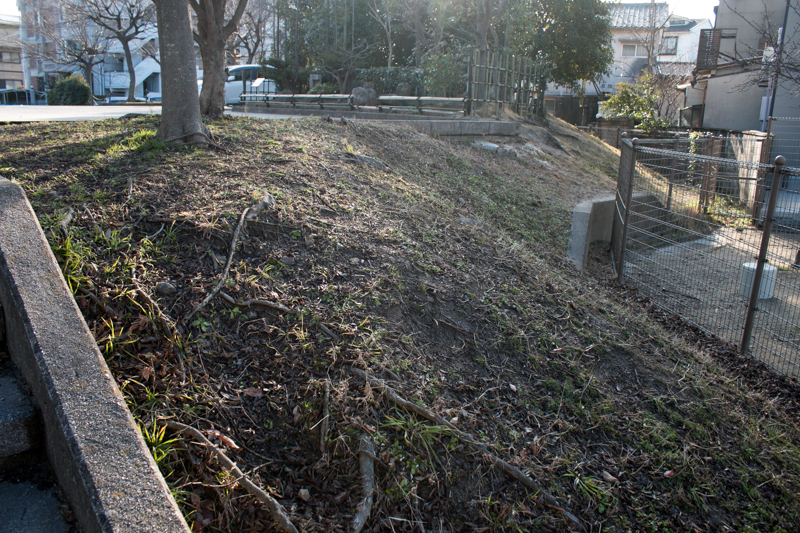 Fujitaka and Tadaoki temporally dissolute Tama and confined her. 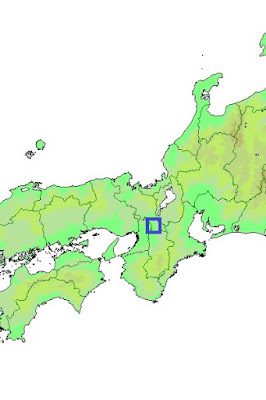 Finally Hashiba army reached to 40,000 soldier and far exceed Akechi army only had 15,000. Looking at this situation, Mitsuhide reluctantly returned to Kyoto city, but now Hideyoshi with over double size army of Mitsuhide and legitimacy to make revenge of his master approached to Kyoto city. 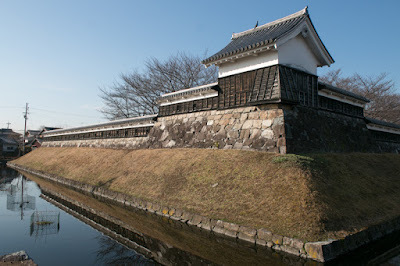 To spare the difference of the army, Mitsuhide decided to ambush Hideyoshi at the narrow path of Yamazaki, and reformed Shoryuji castle and Yodo castle just behind of Yamazaki. 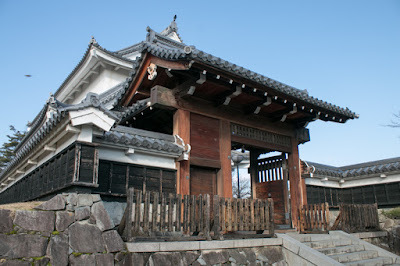 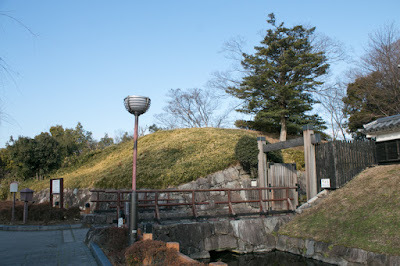 Mitsuhide placed his headquarter at Shoryuji castle. 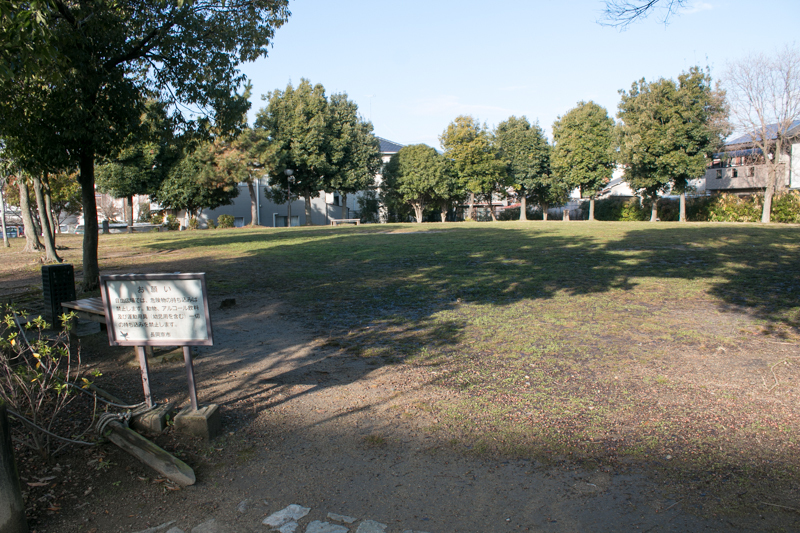 On June 13th, just 11 days after the coup d'etat, Hideyoshi and Mitsuhide fought at the place of Yamazaki. 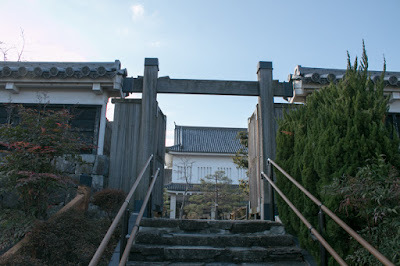 As Akechi army securely guarded its front line, Hashiba army tried to detour from both side passing Tennozan mountain and Yodogawa river, and fiercely fought at the side of Tennozan mountain. Because of this fact, Tennozan means critical moment or place in Japanese. 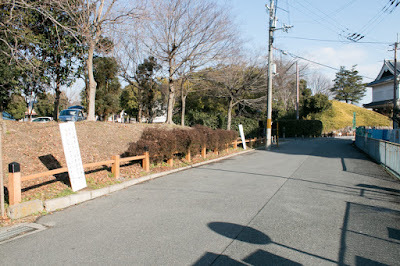 Under unfavorable situation Akechi army well stand the frontline, but in addition to the cumulative damage, a fresh force Hashiba army attacked Akechi army from its side, and finally Akechi army could not stand and collapsed. 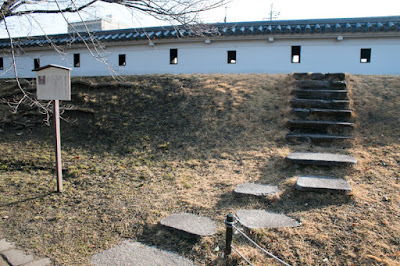 Mitsuhide once retreated to Shoryuji castle, but Shoryuji castle at flat land could not defend from Hashiba army then left the castle at that night and escaped to his main base Sakamoto castle (Shiga prefecture). 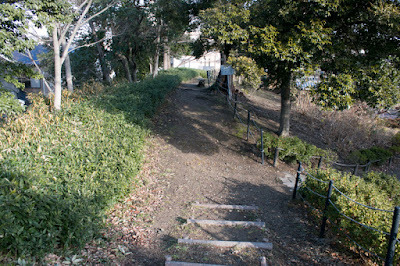 But on the way, at the bamboo forest of Ogurusu at the south of Fushimi, Mitsuhide was assaulted by bounty hunting local pheasants died there. 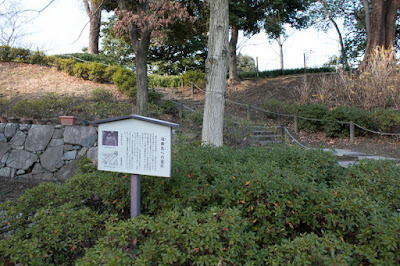 Mitsuhide's hegemony ended only after 11 days from its seizure. After the battle of Yamazaki, Shoryuji castle was once disposed. 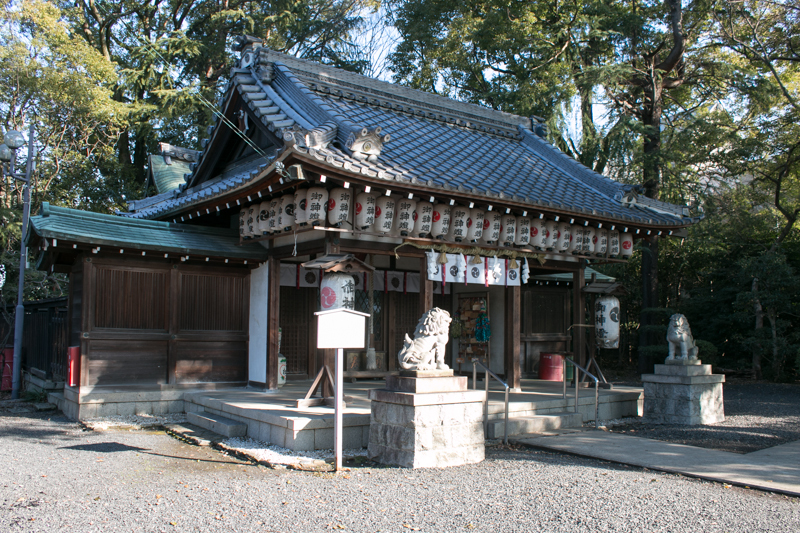 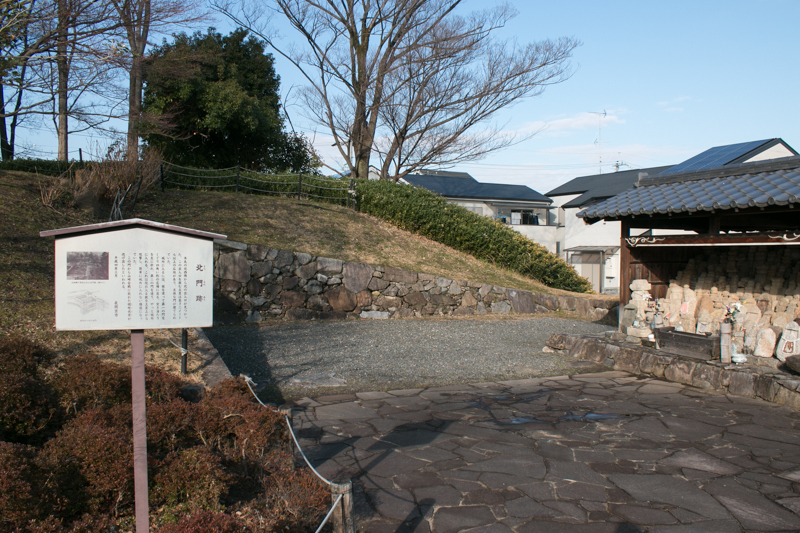 In 1633, Naokiyo Nagai (1591-1671) was appointed as a lord of Nagaoka domain, and used Shoryuji castle as his residence. 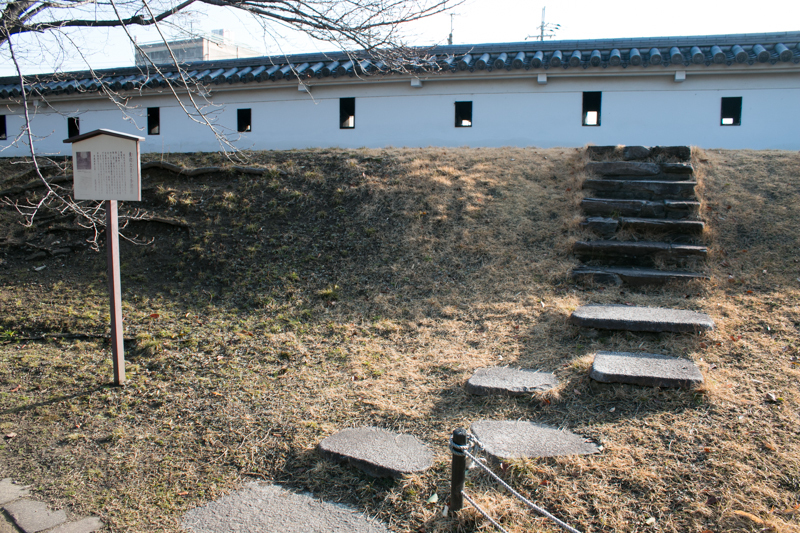 But in 1649 Naokiyo was transferred to the lord Takatsuki castle (Osaka prefecture), and Shoryuji castle was finally abolished. 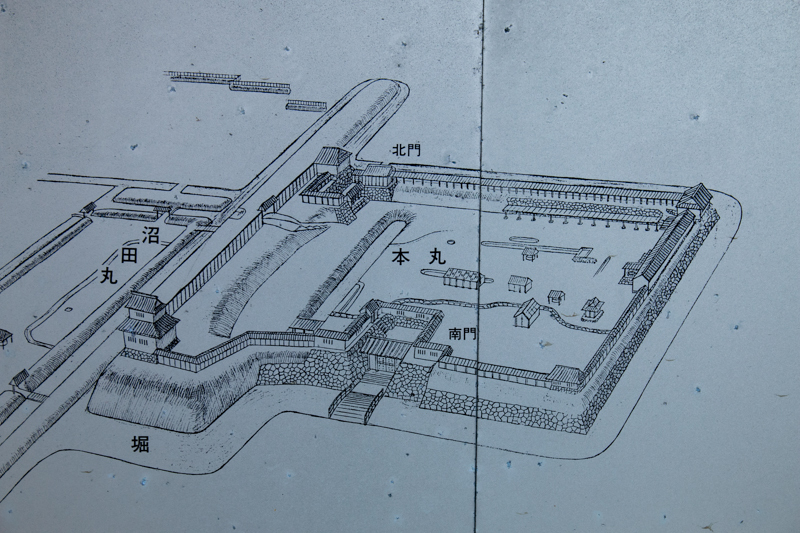 Now all building of the castle was lost but square shape of the central area is well remained. 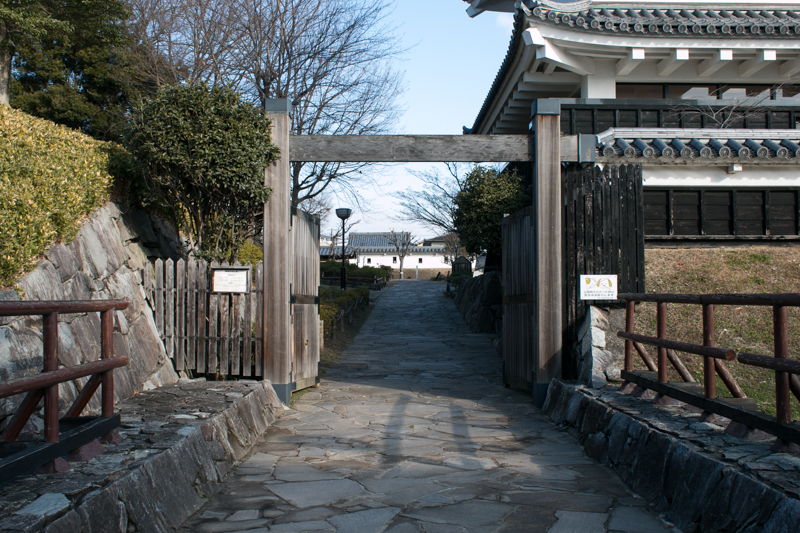 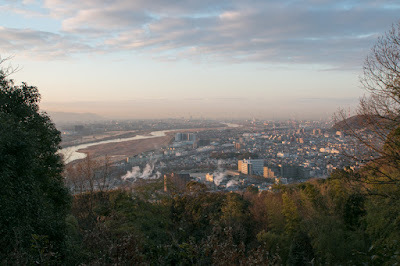 Central area and Numatamaru area was reformed as a historical park, and part of outer barrier remains at Koutari shrine at the north of central area. Even though well shaped, limited size central area with clay wall shows misjudgment of Mitsuhide who had to rely on his small castle against huge Hashiba army.